Sallyfort Mini Farm is just a small part of a much bigger farm. The O’Brien family have lived and farmed here for generations. The main farm is a working dairy farm, with a herd of approx. 50 + dairy cows. They also keep beef cattle and the youngest son Sean is starting out with his own flock of sheep. 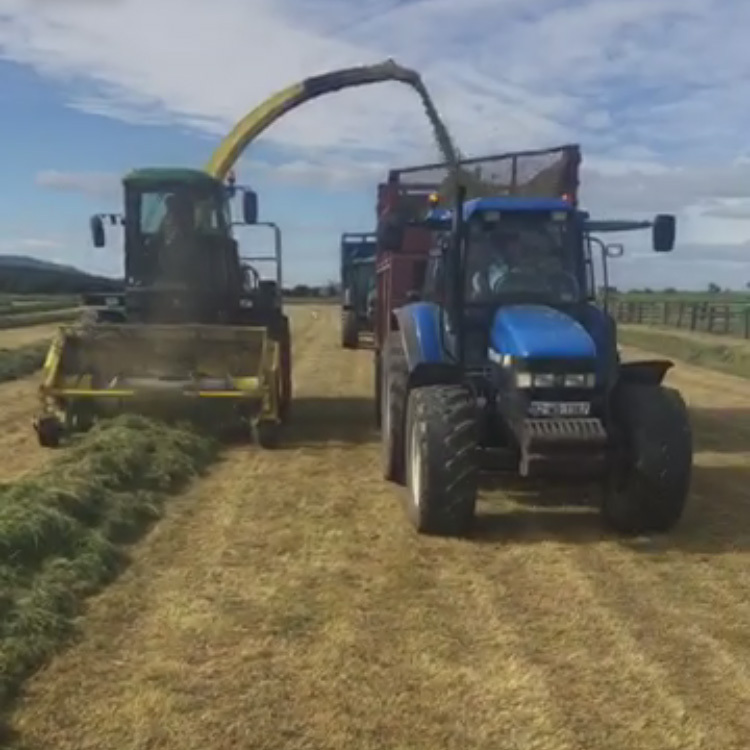 Farming is a year round job, from fencing, repairing, calving, lambing, tending the fields and probably the favourite time of year is when they cut the silage. This is when the farming community comes together to help each other getting the silage cut and in the pit in preparation for winter. Anyone who has had the pleasure of working and living around farming folk will know the warm welcome they receive, the food that is always on the table and the strong sense of family and community that bond them together. All members of the family from the oldest to the youngest have their jobs to do to ensure the smooth running of the business.